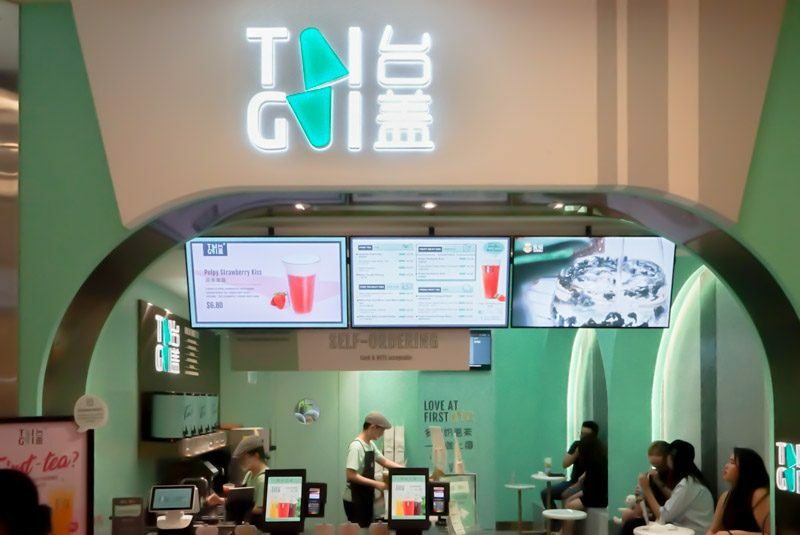 TaiGai 台盖from Shenzhen, China, is finally here in Singapore! They’ve opened their very first store in September 2018 at NEX in Serangoon. 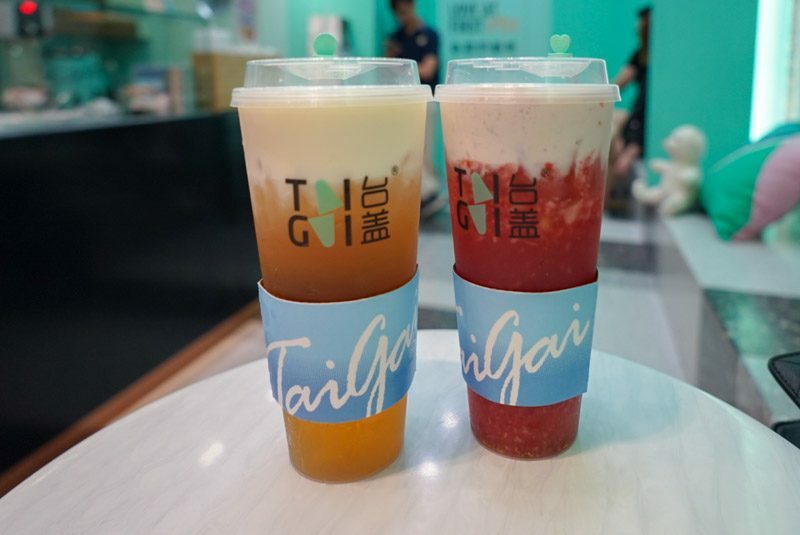 They’re well-known for the “盖” (Milk Crown) that they use over their fruit teas, while “Tai” in TaiGai actually refers to Taiwan, where milk crown was first invented. We decided to try one regular tea version as well as their popular pulpy fruit teas. The Milky Kiss Alisan Oolong Tea (S$4.50) and Pulpy Strawberry Kiss (S$6.80) got our attention. You might think that cheese doesn’t go well with fruit or teas, but Tai Gai does it well. The cheesiness isn’t overwhelming, and complements the strawberry fruit tea as well as the Alisan Oolong tea. As a matter of fact, it is actually slightly refreshing and not too heavy on the palate. Who would’ve thought that the combination of the milk crown and fruit tea would make a perfect mix of sweet and savoury flavours? If you’re ever at NEX or in Serangoon, you can pop over and try them out yourself! An ideal dinner would be fresh sashimi and a slice (or two) of cheesy pizza.